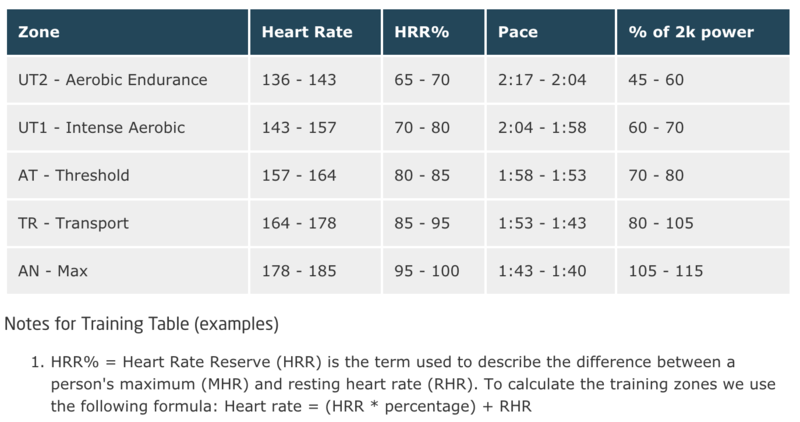 MaxHR = 220 – Age <— Don’t use this to figure out your maximum heart rate! 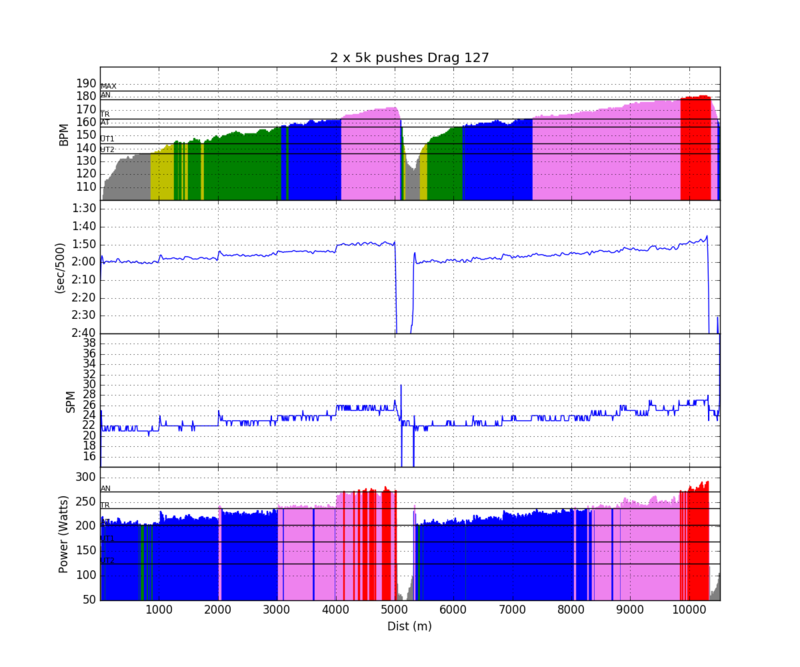 MaxHR = 208 – 0.7 x Age <— Don’t use this either! Why is it useless? Because it has essentially no predictive value. Here is a figure from the Tanaka paper, referenced above. Look at the data from any age you want. For example, look at the data around 55 years old. In the study, they measured MaxHRs as low as 140 and as high as 190. Sure the data has a general downward slope, but to get a reasonable estimate of your maximum heart rate, the trend line is not very helpful. The only way to figure out your maximum heart rate is to measure it. Let’s start with the method they used in the Tanaka paper. Maximal heart rate was determined by a continuous, incremental treadmill protocol, as previously described in detail by our laboratory (4). Heart rates were continuously monitored with electrocardiography. Minute oxygen consumption (V̇o2) also was measured using on-line, computer-assisted, open-circuit spirometry (4). After a warm-up period of 6 to 10 min, each subject ran or walked at a comfortable but brisk speed. The treadmill grade was increased 2.5% every 2 min until volitional exhaustion. At the end of each stage, the subjects were asked to rate their perception of effort using a Borg category scale (6 to 20 rating). Maximal heart rate was defined as the highest value recorded during the test. To ensure that each subject achieved maximal exertion, at least three of the following four criteria were met by each subject: 1) a plateau in V̇o2with increasing exercise intensity (<100 ml); 2) a respiratory exchange ratio of at least 1.15; 3) a maximal respiratory rate of at least 35 breaths/min; and 4) a rating of perceived exertion of at least 18 units on the Borg scale (5). Now, to translate that into English. Increase the grade of the treadmill by 2.5% every 2 minutes until your really tired. Look at the collected HR data. The highest value recorded is your maximum heart rate. Modifying this protocol for to use on an indoor rower very easy. So easy that the Australian Institute of Sport has done it for you. In this document. The test is very simple. 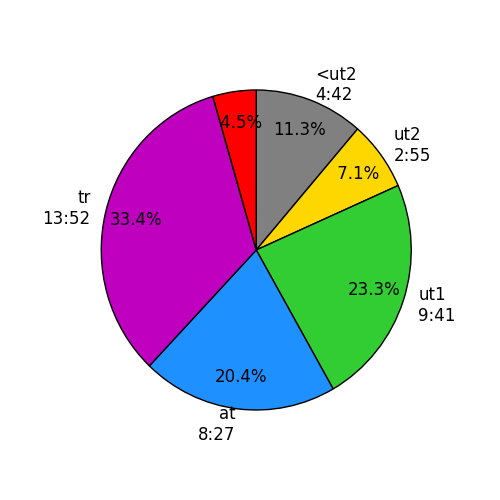 Based on your most recent 2K pace (or an estimate of it), you do 7 – 4 minute steps starting at a low power (slow pace) and increasing by a set number of watts for each step. You start recording your heart rate and you do the first 6 steps without a break and the sixth step is about 5 seconds slower than your 2k pace. After 24 minutes of rowing, that pace will feel pretty hard and your heart rate will be reasonably high. At the end of the 6th step, you take a 1 minute rest and get ready for the fun part. At the end of the one minute rest, you do a racing start and row as fast as you bloody well can for four minutes. 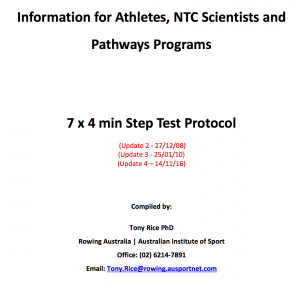 This step should be at or faster than your 2k pace (unless you can do a 2k under four minutes, but then you should report to Concept2 and WorldRowing). At the end of that step, you review your HR data for the highest value sustained for 5 seconds. Use that as your maximum heart rate. Many training plans use a concept called Heart Rate Reserve (HRR). Heart Rate Reserve is the range of your heart rates from complete rest to maximum. This brings up the concept of RestHR. This needs to be measured too. Luckily it’s a lot easier to measure than MaxHR. All you need to do is put on a HR sensor first thing in the morning, before you even get out of bed and record data for a couple of minutes. Your RestHR is the lowest sustained 5 second reading. RestHR actually does change a fair amount with training (and with tiredness, lack of sleep and other things a serious athlete should monitor) so it’s a good idea to measure your resting heart rate a couple of times per season, and update your profile. 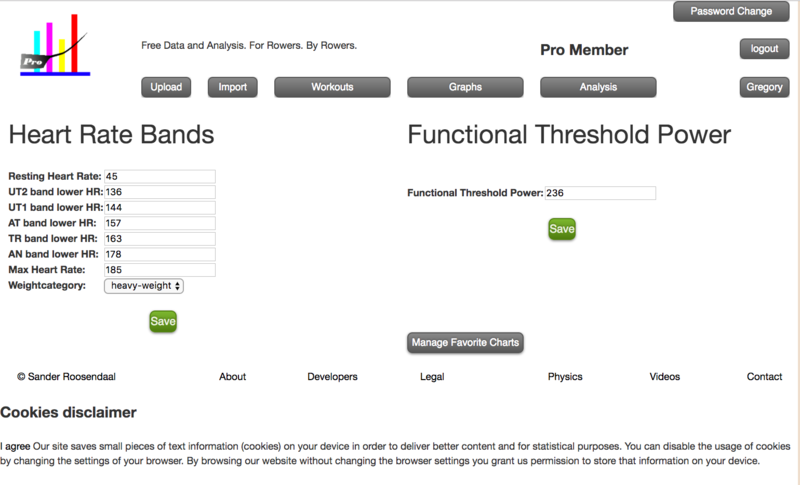 You can enter your resting HR and your maximum HR into the corresponding boxes. The other boxes use the definitions of HR training bands from the Indoor Sport Services Indoor Rowing Training Guide. Here is a helpful table from the Interactive Training Programme that shows you the applicable HRR%s for the training bands. Once you’ve filled in the blanks, then you will get HR plots that show how you responded to a specific training session. Like these.